There’s a simple reason why I keep going back: I feel sorry for those who are caught up in conflict. Everyone needs access to healthcare, and I try to be the person to provide it. I first volunteered in the besieged city of Sarajevo, Bosnia, in 1993 after seeing TV coverage of the conflict. What happened to me there changed my life. I’ve worked in conflict and catastrophe zones ever since: from Liberia and Darfur, to Haiti, Syria and Yemen. In places wracked by war or natural disaster, there are few surgical provisions. There are limited blood supplies, few drugs and no diagnostic aids to speak of, so you rely on your medical skill. Yet, in war, most of the senior surgeons will have fled and it is the junior medics who are left behind. They may know basic surgical techniques, but they are faced with the most difficult wounds imaginable, from gunshots, snipers, IEDs and mines. I take part in up to three missions a year with organisations such as Syria Relief, Médecins Sans Frontières (MSF) and the International Committee of the Red Cross (ICRC). I go for three weeks at most if it is a really hot war zone; six weeks if the frontline is further away. If there are no casualties from the night before, my day starts around 7am, with a security briefing at 7.30am. I take an hour to visit patients and from 9am there are either new patients to see in the clinic or, if there are casualties in the emergency room, I begin operating. I can be doing that all day and sometimes all night. At my longest stretch, I operated for 22 hours. You forget the time, although you’re absolutely worn out. You carry on because you’re saving somebody else’s life – and then somebody else and somebody else. You sleep where and when you can. In quieter periods, I teach. In Syria, for example, there are lots of junior surgeons who are not particularly well trained. They accompany me in the operating room and we do the surgery together. I show them first, and then they pick up the knife, scissors and forceps. Speed and accuracy are very important. I teach techniques to limit blood loss, and quick procedures. 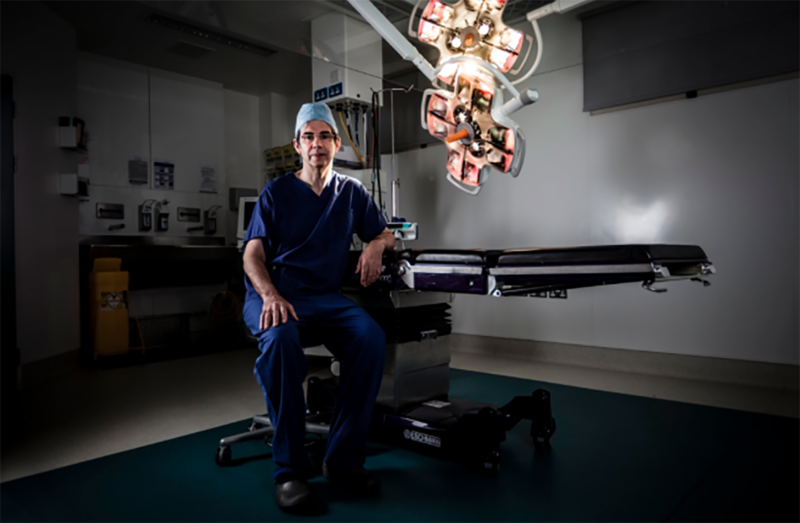 You get very engrossed in surgery – even though you are in a war zone, your mind is utterly focused on the job at hand.